The ADDvocates have spent years researching various approaches to dealing with children and teens with ADHD. Although medication can be a quick fix, the side effects are not worth the damage that can happen to their body – physically, mentally and emotionally – medication should only be looked at as a last resort. Many parents are ill equipped with ADHD knowledge, strategies and approaches to deal with their kid’s hyperactivity and inattention problems. It’s no wonder than that many parents are at their wits end when they are continuously bombarded by their kids’ teachers and coaches that their young ones are not paying attention or are daydreaming in school. These parents are, of course, fully aware that concentration is a very important aspect of learning and communicating, and that such problems should be seriously looked into. Because ADHD can be somewhat hidden, it could result in the child developing personality problems in adulthood. There are many approaches and coping strategies to look at from various role models: parents, teachers, coaches and tutors, and they all differ in their own little way. Now, with that being said, below are five basic ADHD strategies to help you manage and cope with your ADHD child at home. For further relief and assistance, hiring an ADHD coach is a worthwhile investment and can provide a huge wealth of information, strategies and hands-on approach. This is where The ADDvocates can help you! There are a few things to know about children with ADHD. One of the first things to remember is that the underlying problem of ADHD is conduct disorder. That is, the person’s inability to learn from their experiences. For instance, the child may hit a classmate or friend now, but by the time they are punished, they cannot relate the punishment to the ‘crime’. Compounding to their misery is that when this child misbehaves and is constantly criticised by teachers, coaches and family members who do not understand their problem, their self-esteem suffers as they are always labelled bad or naughty, without them truly understanding why. The constant bombardment of being punished for behaviour that is out of their control by teachers and coaches is seen more and more – this is due to the lack of knowledge by those instructing the child. They lack the understanding of ADHD and how to deal with it monthly, daily, hourly, or even just minute by minute. It is up to the parent, unfortunately, to instruct the teacher or coach on best strategies used for your child. Every child is different and what works for one ADHD child may not work for another ADHD child and it can sometimes be trial and error before you discover what works best. Trial and error with medication should not be an option as the side effects are far more severe (suicidal tendencies, tics, loss of appetite, death, etc.) than trial and error with a hands-on approach. Another often heard complaint is that children with ADHD don’t listen. The instructions always appear a little too slow for them, because their mind has already raced on to something else. ADHD kids are generally interested in 101 different activities at the same time without finishing one. They cannot sustain their interest in any activity as they are easily distracted. With such a short attention span, they often cannot cooperate in group activities as they are too impatient to wait their turn. 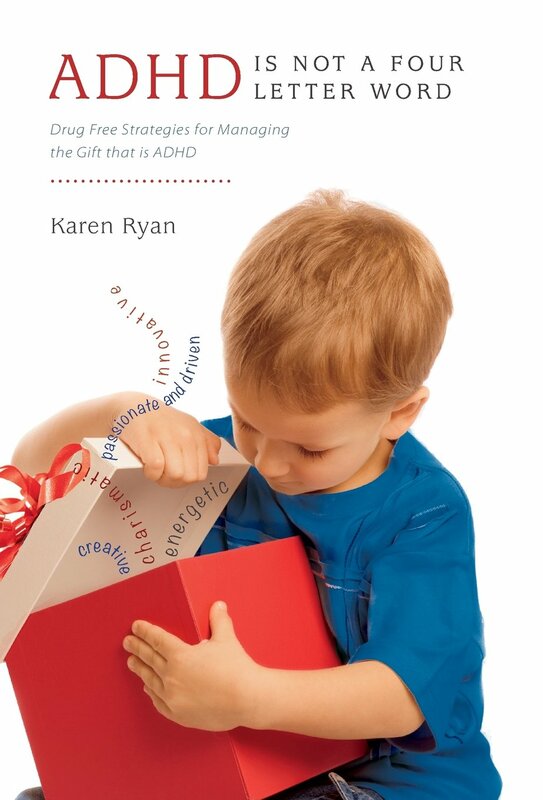 It is still valuable to learn ADHD approaches and coping strategies. Where proper diet and supplements regimes can have amazing effects and should be looked at first and foremost before even attempting any sort of medication, ADHD children still need to be taught how to focus, stay organised and behave properly. CONSISTENCY – It is very important that all parties involved with the child, including teachers and coaches, cooperate as consistency at home, in school and in sports, is vital in treating children with ADHD. SIMPLE RULES – When setting up rules, make sure the rules are simple to follow, clear, and most importantly, only a few. Putting these criteria in place is very important because having to follow different sets of rules at home and in school can be very confusing for them. If you have too many rules, the child will become more frustrated and confused and won’t be able to abide by them all. TIME MANAGEMENT – Because the child cannot concentrate and stay on a task for long, it is essential they learn to focus and do just one task at a time. They must learn to plan and finish a task before going on to something new. A good way to start this is by giving them appropriate activities that allows them to receive immediate rewards within the allotted time frame. PRAISE AND REWARDS – “Be slow with criticisms but quick with praise!” as the saying goes. So when they do something right, praise them. Teach them to give themselves a pat on the back and tell themselves, “Well done!”. Alternately, when something is not done quite right, word it in such a way that praise can still be heard. For example, “I really liked the way you did that but let’s try it a different way.” Eventually, they will build up their own self-esteem. REDIRECTION – This last ADHD strategy requires that parents try to always be there for their ADHD child. For instance, before they lose interest in their task, be there to redirect their attention towards something constructive. Be one step ahead of them, and catch them before they get off course. Please visit our Nutritional Approach in the drop down menu under “Our Approach” to give you a better perspective and tips on nutrition that include the whole family! For more information on ADHD Coaching or any other questions you may have, please contact Karen Ryan at karen@theaddvocates.com.